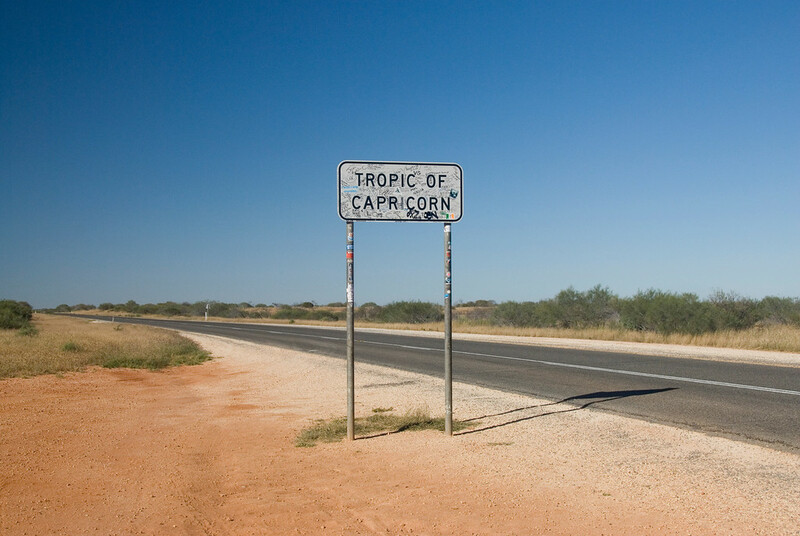 Western Australia is the largest state in the country; in fact, it occupies a third of the country’s western side. It shares borders with two other Australian regions: Northern Territory and South Australia. Due to its size, Western Australia accounts for 11% of the country’s total population with a population count of 2.6 million. Aside from that, tourists from all over the world flock here as they want to experience the many natural and manmade attractions waiting to be explored for those who travel to Western Australia. 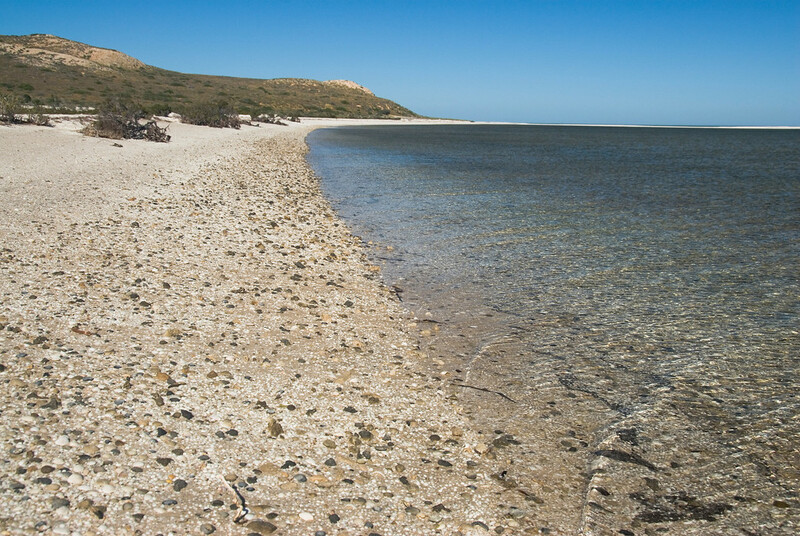 As mentioned above, the natural features of Western Australia have contributed to the influx of tourists and the growth of the tourism industry. Visitor statistics reveal that for the year 2015, there were up to 9.3 million tourists who travel to Western Australia. Meanwhile, there are over 19 million day trip visitors from other Australian states. For the year 2015, the tourism industry in the state earned up to $9 Billion from the tourism industry alone. According to economic experts, the consistent rise in the number of people who travel to Western Australia over the past 2-3 years has contributed to stabilizing the state’s economy despite the continued decline of the Australian dollar in the global market. The tourism draw of Western Australia is not surprising at all, especially for those who have been to the state before. 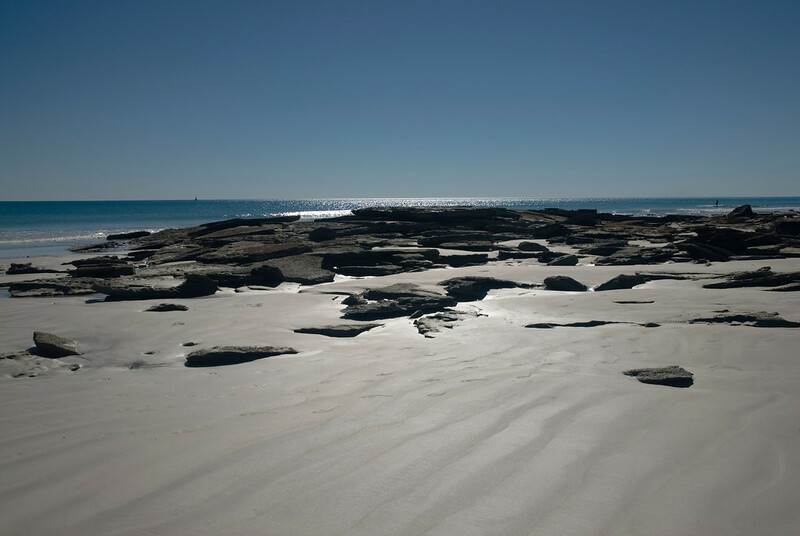 There are several notable eco-regions throughout Western Australia, each with its own specific features to offer tourists who travel to Western Australia. 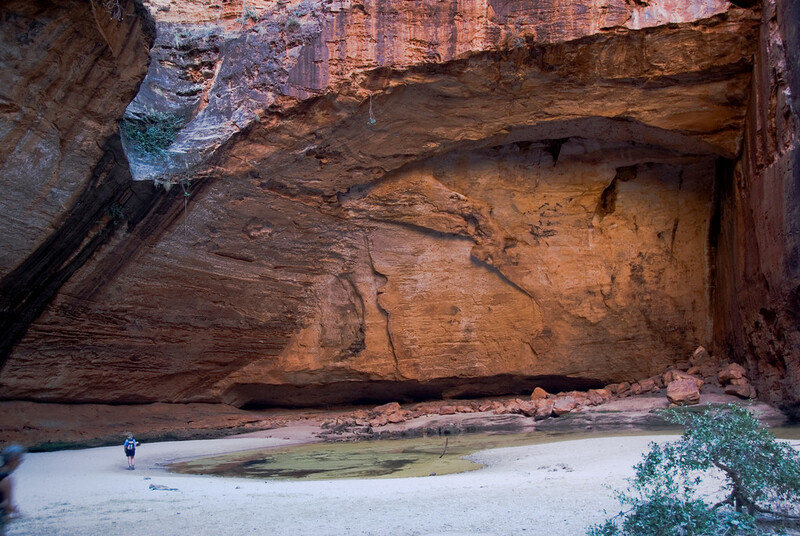 The Kimberley region’s sandstone gorges are one example of that. Meanwhile, the Margaret River is a wine-producing region that is flocked by wine enthusiasts. You can also pay a day trip to Shark Bay, which is a UNESCO World Heritage Site. In terms of climate, Western Australia has a Mediterranean climate due to its proximity to the Indian Ocean and the coastal location. Some parts of the state is heavily forested and comprised of bio-diverse terrestrial habitats. However, the northern tropical regions of the state is an exception. Specifically, the Kimberley region has a hot monsoonal climate. In fact, rain is a rarity from the period of April to November. Snow is also rare in the state. Ningaloo Marine Park: If you love the ocean, you need to head to the Ningaloo Marine Park on your travel to Western Australia. This protected marine area spans up to 260 kilometers in size. You have plenty of activities to do such as snorkeling the Coral Bay or taking a 4WD adventure at the sand dunes. 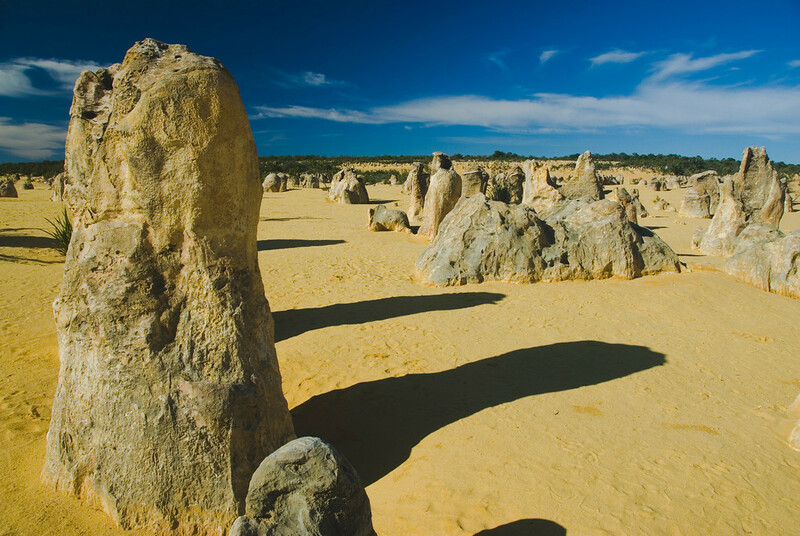 The Pinnacles: This is the purest example of a desert landscape in Western Australia. The landscape is filled with yellow sand dunes and rock spires even though the Indian Ocean is just a few miles away. You cannot miss this attraction when you travel to Western Australia. The Kimberley: This is another popular attraction for those who travel to Western Australia. 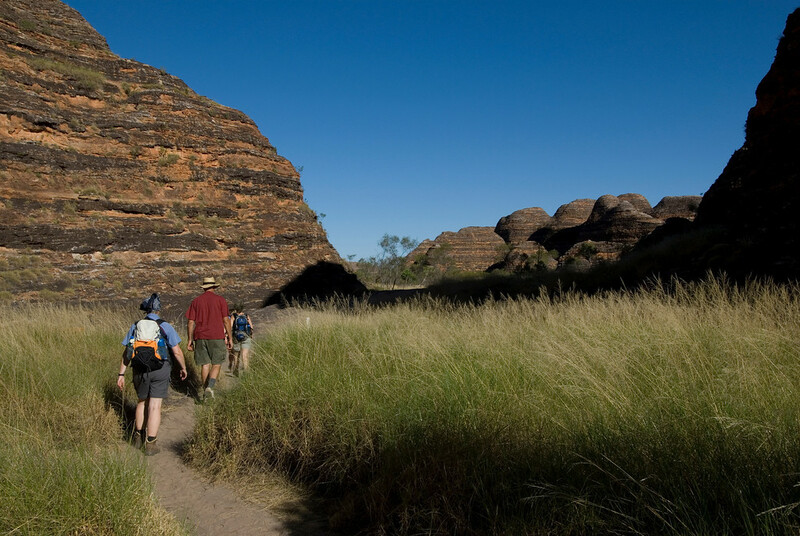 When in Kimberley, enjoy a camel ride or go sight-seeing at the beehive domes of Purnlulu National Park. 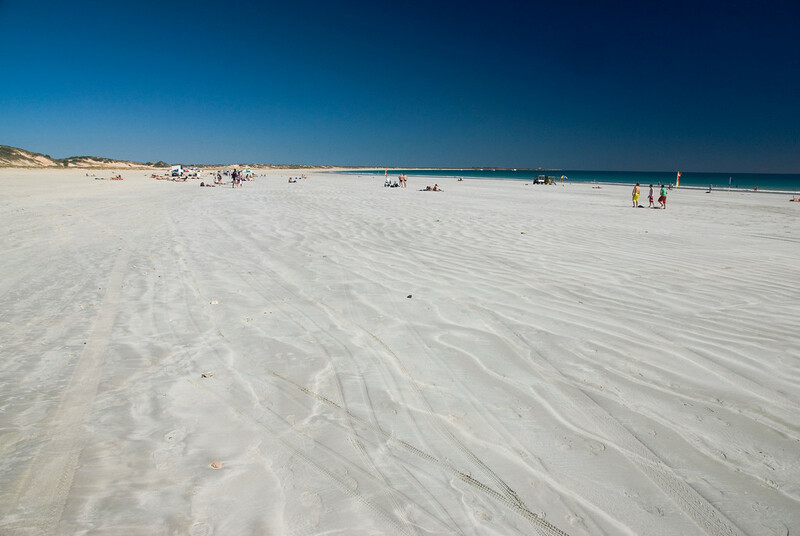 Cable Beach: This 22-km stretch of white sand is another famous attraction in the state. The beach is set against red ochre cliffs and the gorgeous and pristine Indian Ocean waters. This is a great place to enjoy the sunrise or sunset. Karijini National Park: This national park is located in Pilbara in Western Australia. Prepared to be humbled by the awe-inspiring beauty of this natural attraction. When you visit the park, you will be treated to marbled rock tunnels, rock pools, waterfalls, and other similar features you’d expect to find in an eco retreat.